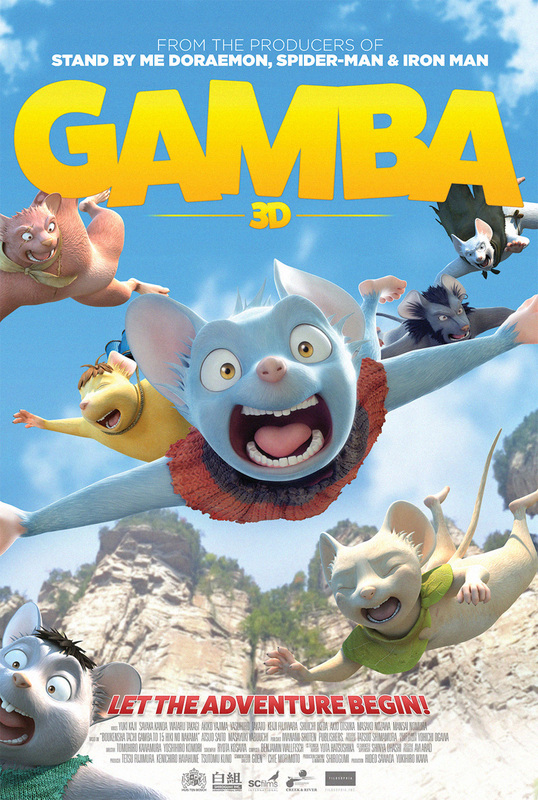 Gamba, a mouse living in the city has a brave, adventurous spirit. He decided to go on an adventure to see the ocean with his friend Mampuku. On their way, they meet a troubled child mouse, Chuta. He says his family and other mice have been killed by a gang of weasels living on the island. Chuta asks the ship mice which are said to be the bravest mice for help, but when they find out that the very villain in this event is a weasel-leader named Noroi, they give up on helping Chuta. However seeing the hopeless Chuta, Gamba promises him to save the island and his family and the other mice. Gamba and his friends team up to go on their adventure to defeat the evil Noroi and weasels.